As we all know the kitchen is the heart and the soul of our home. When we are boring with its look and need to get a new one, the kitchen renovation is the great way to create a livable kitchen area. This article will help on this big and challenging task. Above all, as a homeowner you need to set your budget, whatever your budget is, you will be able to add value and functionality to your home with perfect kitchen remodeling. After setting your budget, take a look around and determine what need to be eliminated and what can be fixed. 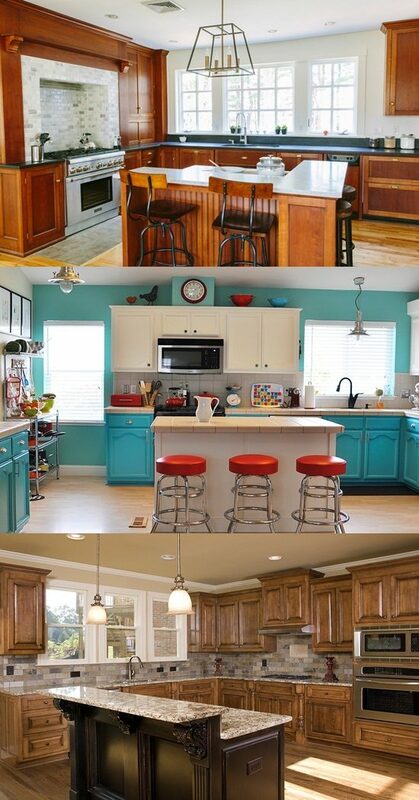 Then decide the design or the style you want your new kitchen to look like. Remember also you need to view online remodel websites or go to remodel stores and have some ideas of their new approaches. To have a completely new look with an open budget; you will never have to worry at all. For the basic items, you will renew all of them; countertop, cabinets, appliances and flooring, you will get a new kitchen. But if your budget is tight, it will not be also a problem. You just need to think wisely and do some tricks; first if your cabinets is still sturdy and at well condition, you just will have to sand the edges and repaint it with refreshable and colorable paint. Or you can get new cabinets doors that match with your actual one and install them easily. Then we come to your appliances, you may ask yourself are they great or you need to buy new ones. If they are in a good shape and function well, you just can buy new affordable PVC contact papers and easily install them on the surfaces. You can also go as alternative for resale companies and pick what fit your kitchen and budget. But to make an investment for the long run, pick a good granite countertop. The light fixtures are very important to give you a perfect remodel with warm and bright lighting system. Remember to put good ventilation system to eliminate the unlovable odors.